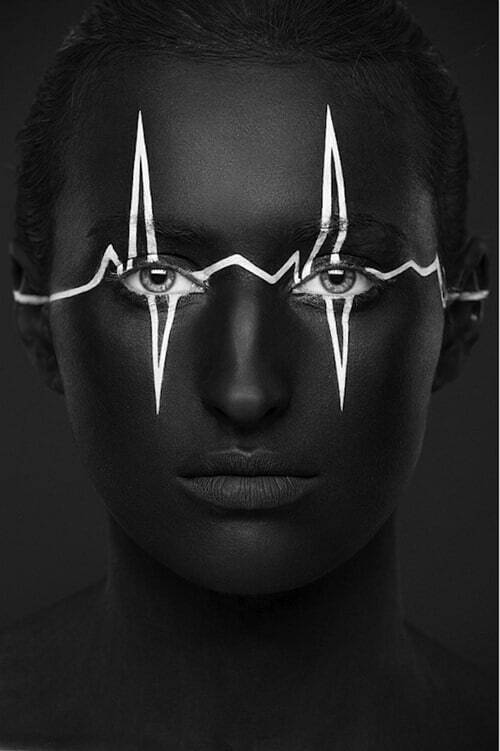 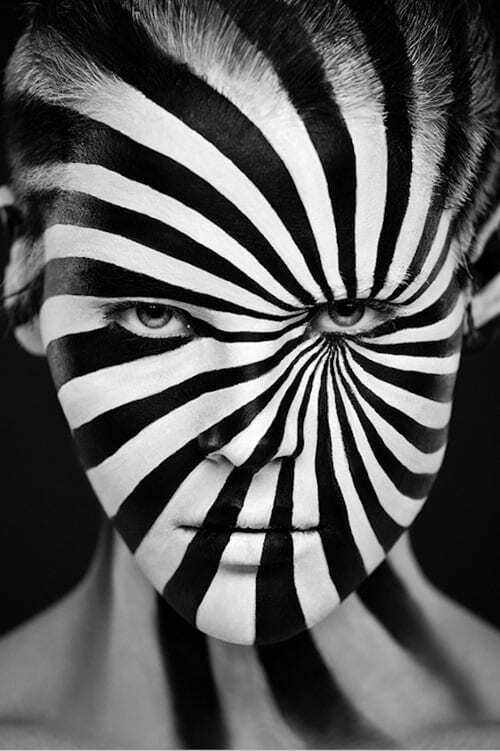 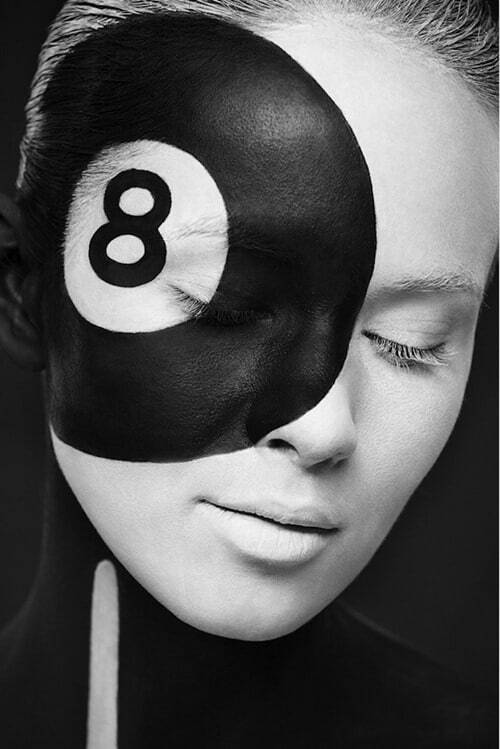 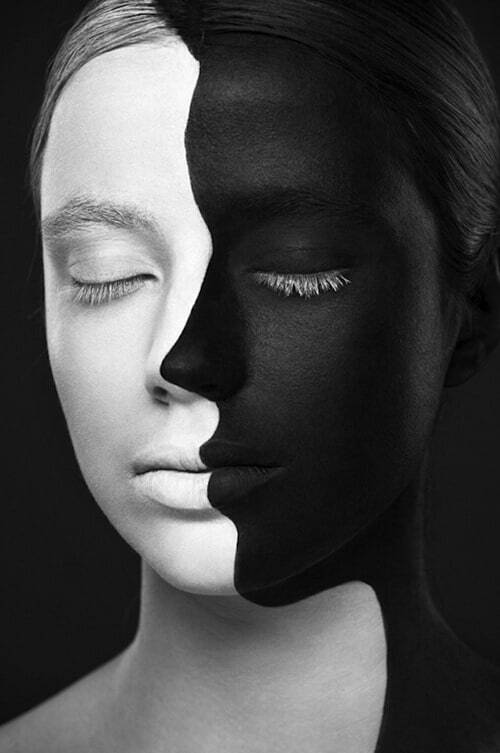 Moscow-based photographer Alexander Khokhlov uses the human face as his canvas for creating graphic, black and white face painting with makeup. 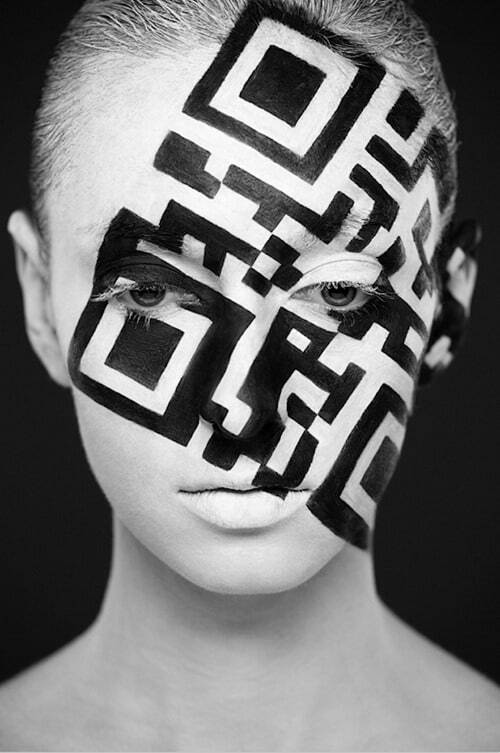 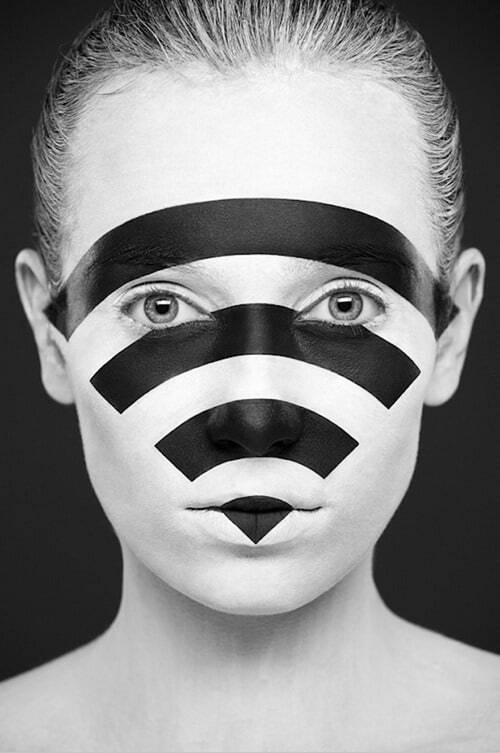 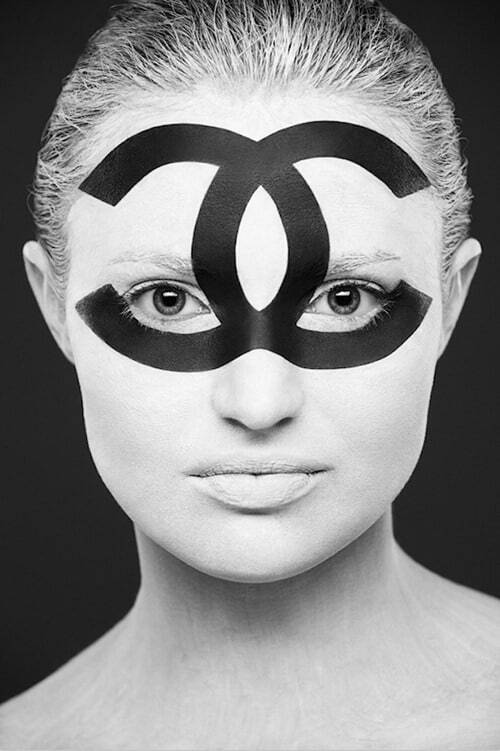 From the WiFi icon to the Chanel logo or a QRcode across his model’s faces, Khokhlov’s project is quite interesting. 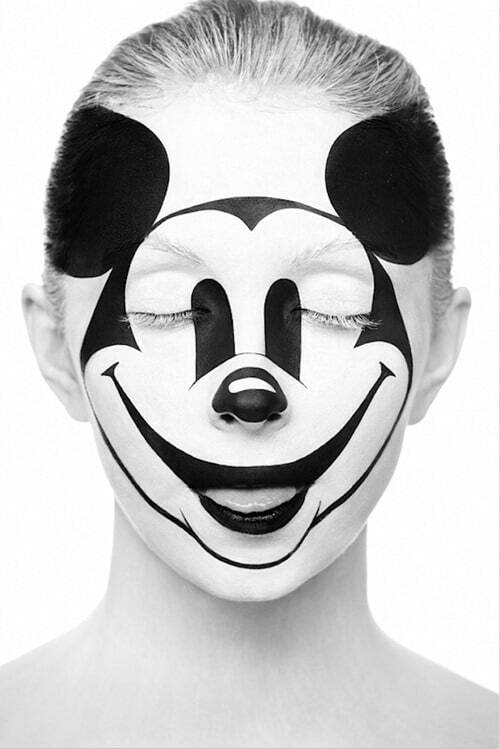 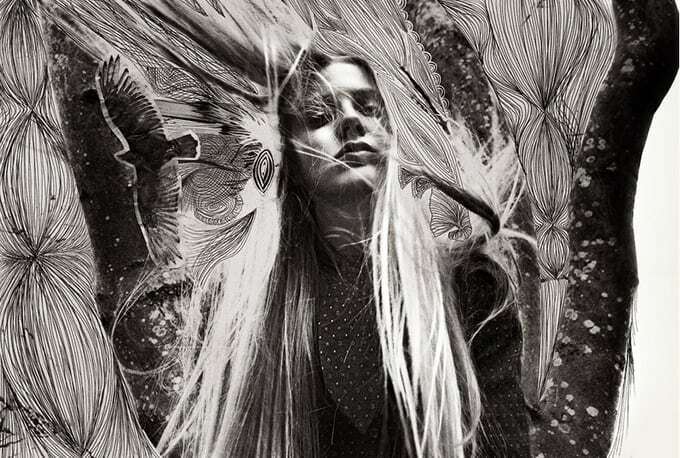 Rather than relying on canvas, paper, or any other synthetic material, Khokhlov relies on the beauty and lines of the feminine face to form this project, entitled Weird Beauty.